Nails played a leading role in French fashion house Kenzo’s recent film The Everything, written and directed by Humberto Leon, which showcases the brand’s fall/winter 2018 collection. 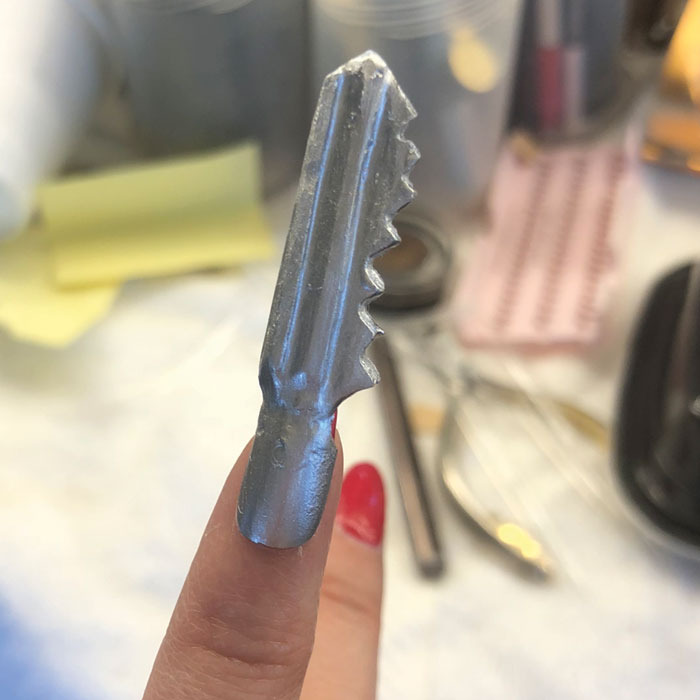 The most time-consuming look to create for the film was a set of extra- long red nails, achieved by joining sections of sculpted acrylic together with more acrylic. “Glue wasn’t strong enough,” Yasuda says. 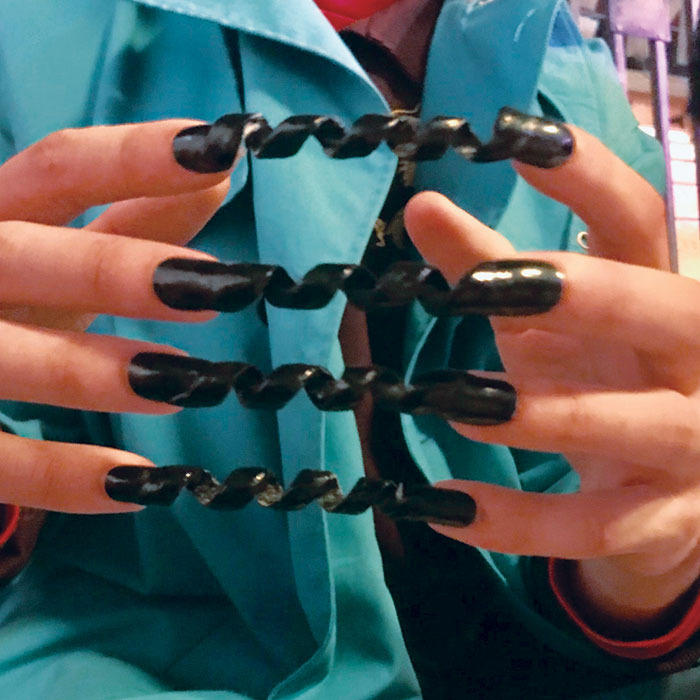 “I also tried using clay, but that didn’t work either; it was too soft.” After attaching all of the parts together to make the long nails, Yasuda buffed them and applied two coats of red polish. “It took five hours and a whole bottle of polish to completely cover the nails!” she says. “They were super fragile, but a nail never broke.” See the film here.